I am still trying to wrap my head around just what happened in the comments section on Wednesday. 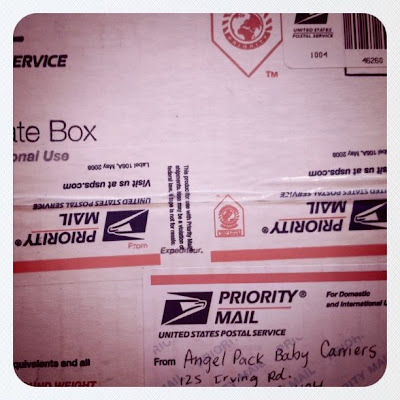 You guys, you and you and you (and you and you) who emailed Angel Pack about the situation? Nelly and Stormy from Angel Pack? Who are giving me a new Angel Pack? So many of you spoke out on my behalf, so very many many of you that it blew me away. It feels a little like my birthday, and not because I am getting a present (as amazing and wonderful and fantastic as that as) but because you guys devoted time and energy for me, and wrote emails for me, and cheered with me. Because you did something nice for me. And it was all just to see what happened, no promise of anything, just to try, selflessly giving your time and energy to do something nice. You are nice. Thank you. He is very cute and very heavy to hold in one arm while I push a grocery cart full of kids with the other arm. Thank you also for all the nice things you said on Angel Pack's Facebook wall. If you haven't "liked" them yet, I know they would love the love. so cool to see the love. and hal is mini-clark. dang. I want to gobble your son. I am so happy that your sad experience had a happy ending. I didn't think to email the Angel Pak people, BUT when I saw that they had contacted you, I immediately checked them out. Next thing you know, I'm emailing my SIL (who is having my niece next month) to see if she wants one of their carriers as a present. 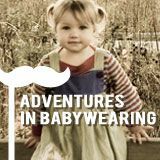 And I absolutely am jonesing for my own for our next baby, whenever that happens. I love supporting a great company, and look - hopefully they'll get two sales out of their gift to you. And I'm sure I'm not the only one who is thinking about it! This makes me teary it is so nice!!!! I love the world omg. I 'liked' this peeps on FB. I wish there was a 'love' button! I'm dying to see wich pattern you picked. I'm so happy this story had a great ending!! Oh my goodness this is just absolutely fantastic! there is good in this world, lots and lots of good! Hal looks so much like Clark, so very too much! And I'm very happy for the way things worked out for you. Ok. I'm crying after reading your story and the comments and now this post! Oh gosh! so so so glad it all worked out for you :) ! Oh lady, I am SO glad to see this!!! so so cool. what a great gift of friendship, comradery, and generosity. Now that all is right with the world again you should sing us another song! Yay, Erin! I was so happy when I read a wrong was made right. It brightens. High five to Angel Pak. Good people. That is so awesome, Erin. 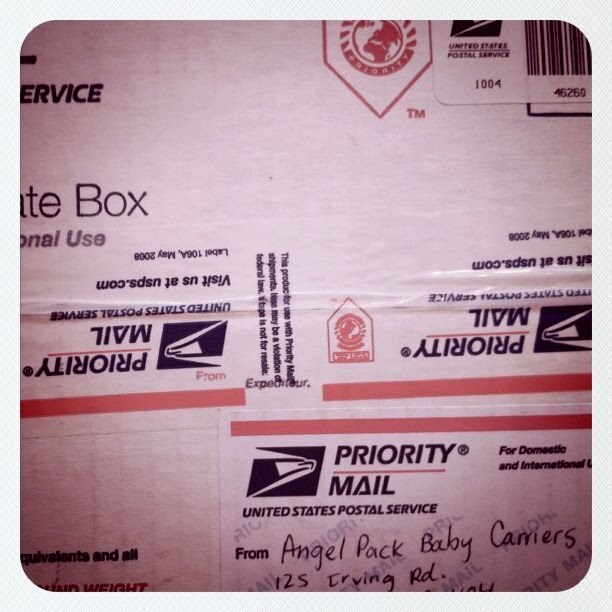 I read about the Target thing and I love that people wrote emails and that Angel Pack took care of you. it doesn't surprise me a bit. you are so worth it. He is so big! Those eyes. Beautiful. A. 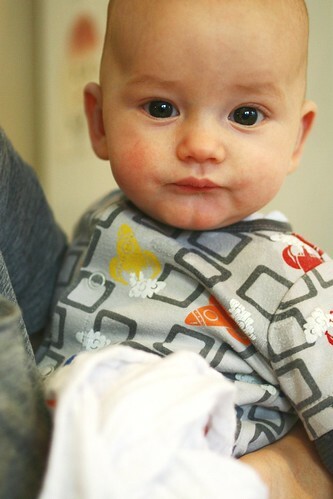 Your baby is BEAUTIFUL (I know he's a boy, but I think I can still say that). B. Three cheers for social media, right? C. I totally like Angel Pack now.